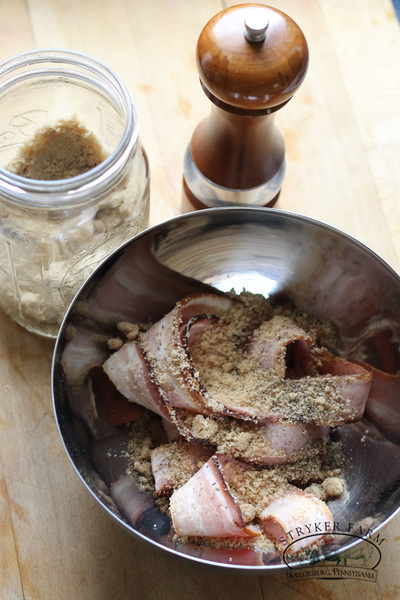 Mix the bacon strips, pepper and sugar in a bowl. Massage the sugar into the bacon so that there is no loose sugar left. 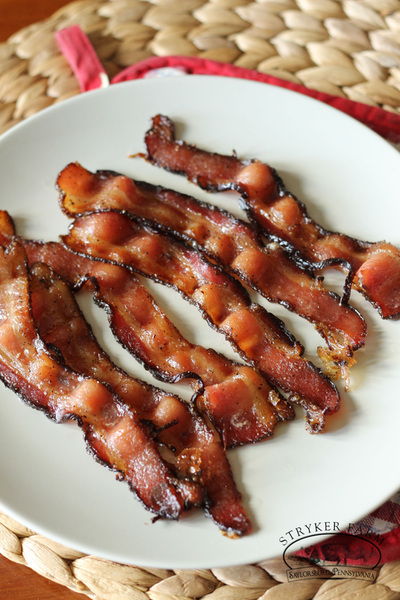 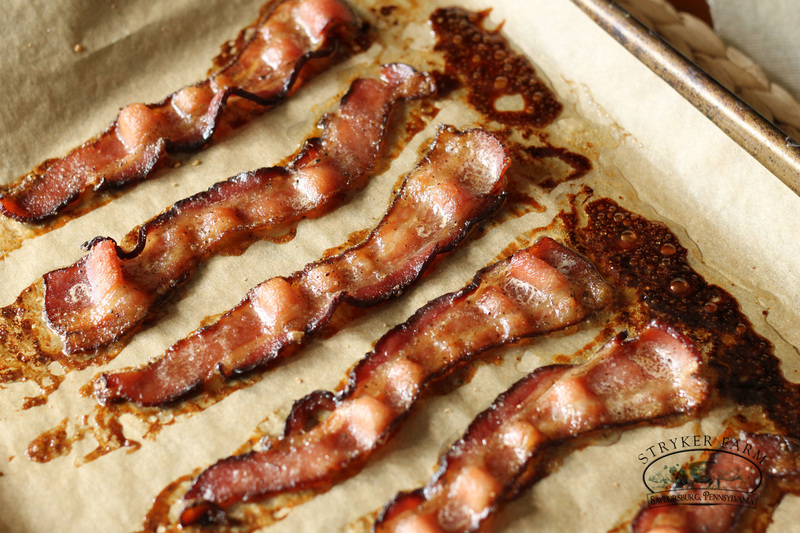 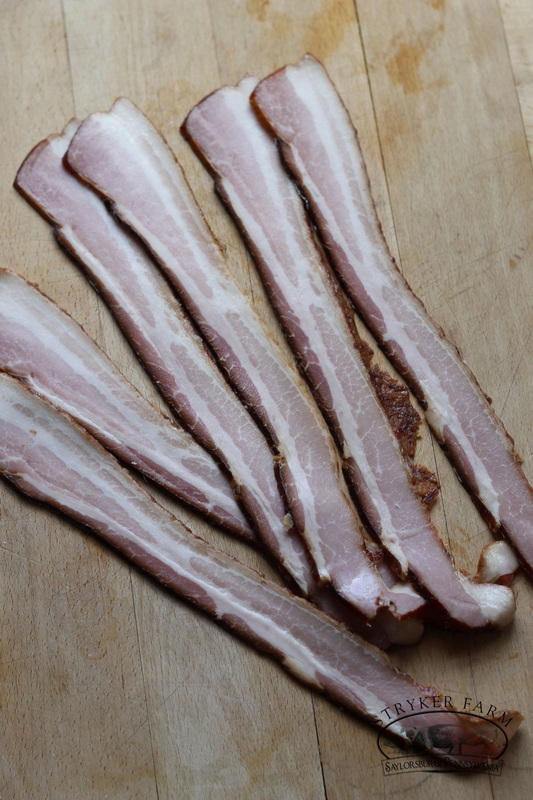 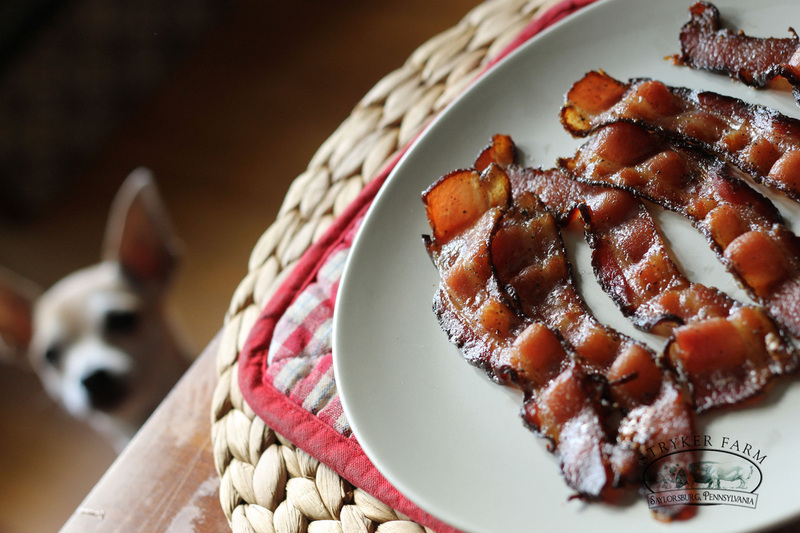 Line a baking sheet with parchment and arrange the bacon strips evenly on the pan. 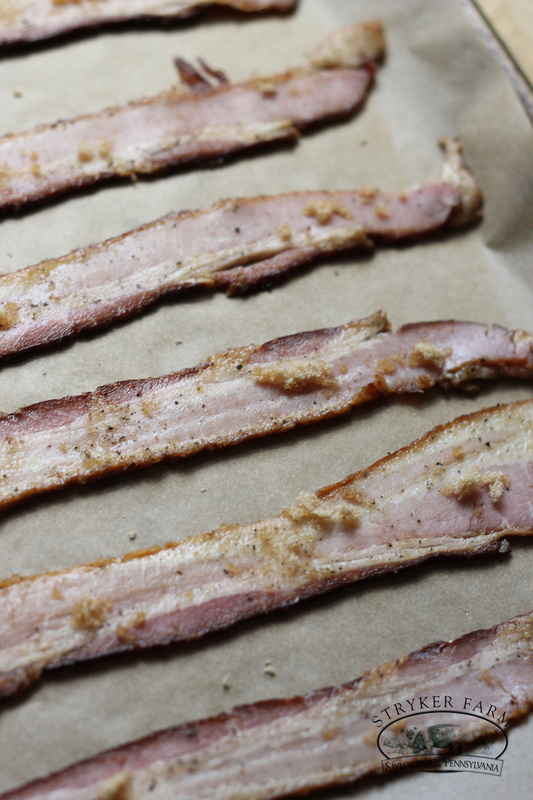 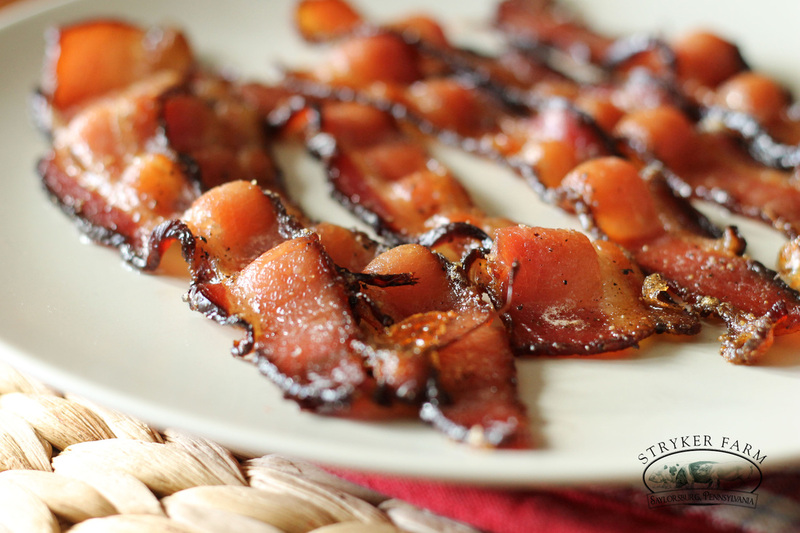 Bake the bacon for 20 minutes until the bacon has crisped to perfection.